Long-term food (12) cans with 14.5 ounces in each can (full case) of pork, providing a total of 60 servings. Each can of turkey contains only the natural juices of the meat, no water or broth added, providing almost 11 pounds of fresh, mouthwatering, healthy hand-packed, and cooked meat. 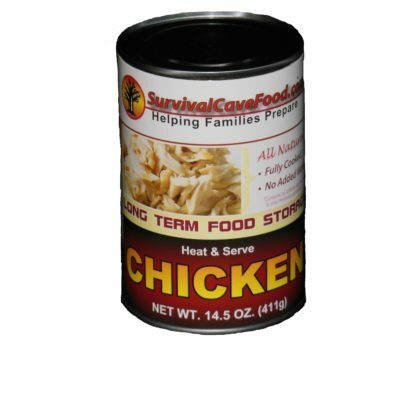 Be the first to review “Canned Turkey Food Storage 12 cans – 14.5 oz” Click here to cancel reply.